LANSING, Mich. – The Michigan Departments of Health and Human Services and Agriculture and Rural Development today announced that there have been eight human cases of influenza A variant viruses reported in Michigan. They have tested positive for influenza A H3N2 variant (H3N2v) and one person has been hospitalized and since released. All of the confirmed cases had exposure to swine at county fairs in Muskegon, Cass, and Ingham counties during July and August where sick pigs had also been identified. MDHHS and MDARD are working closely with local health departments, the healthcare community, and fairs to protect swine exhibitors and the public and identify any additional cases. Fair exhibitors and animal caretakers should be following proper biosecurity processes such as regular hand-washing with soap and water, disinfecting wash areas at least once each day and making sure it has time to dry thoroughly after being disinfected. Additionally, weight scales and sorting boards should also be disinfected. Use a 10 percent bleach/water mixture in combination with a detergent (dish or laundry soap) to increase effectiveness. In 2012, there were six H3N2v cases in Michigan and in 2013 two cases were confirmed. Human infection is thought to happen when an infected pig coughs or sneezes and droplets with influenza virus land in someone’s nose or mouth, or are inhaled. There also is some evidence that the virus might spread by someone touching something that has virus on it and then touching their mouth or nose. Symptoms of H3N2v infection in people are usually mild and similar to those of seasonal flu viruses, but as with seasonal flu, complications can lead to hospitalization and death. Symptoms include fever and respiratory symptoms, such as cough and runny nose, as well as body aches, nausea, vomiting, or diarrhea. Some populations are at higher risk of developing complications if they get influenza, including children younger than five years of age, people 65 years of age and older, pregnant women, and people with certain long-term health conditions like asthma, diabetes, heart disease, weakened immune systems, and neurological or neurodevelopmental conditions. The incubation period (the time it takes from exposure to illness) for this influenza is typically similar to seasonal influenza at about two days, but may be up to 10 days. Currently, there is no vaccine for H3N2v and the seasonal flu vaccine will not protect against H3N2v. Antiviral drugs are effective in treating H3N2v virus infections. Early treatment works best and may be especially important for people with a high-risk condition. • Anyone who is at high risk of serious flu complications and planning to attend a fair should avoid pigs and swine barns. • Don’t take toys, pacifiers, cups, baby bottles, strollers, or similar items into pig areas. • Avoid contact with pigs if you have flu-like symptoms. Wait seven days after your illness started or until you have been without fever for 24 hours without the use of fever-reducing medications, whichever is longer. While it does not protect against H3N2v, MDHHS recommends annual season influenza vaccination for everyone six months of age and older to reduce the risk of infection from other influenza viruses. For more information about H3N2v, visit www.cdc.gov/flu/swineflu/h3n2v-basics.htm. Many people are contacting the Kent County Animal Shelter with concerns about Canine Flu. The flu has been confirmed in 1,200 dogs in 10 states, with two cases here in Kent County, according to the Michigan Department of Agriculture and Rural Development. 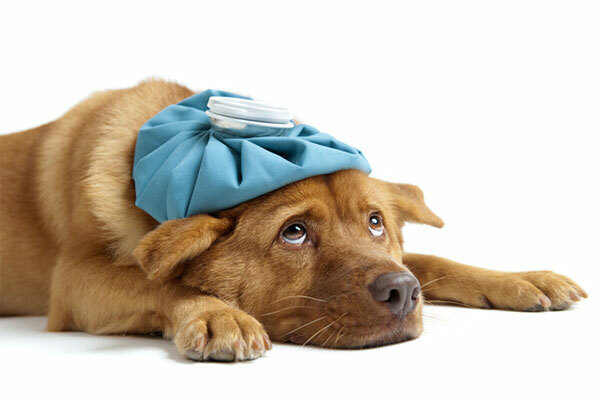 This H3N2 virus can cause a fever, make dogs lethargic, and symptoms can last two weeks. A dog license helps to get your dog home safe if they become lost. Dog licensing provides funding for animal control in Kent County. This allows us to investigate and prosecute animal cruelty and neglect, as well as responding to loose or aggressive dogs. Licensing protects the community by ensuring dogs are vaccinated against rabies. Michigan law requires that all dogs over the age of four months are licensed and all new dogs are licensed within 30 days. Numerous veterinarians are offering One-Stop Vaccinations and Licensing. You must contact the veterinarian’s office directly for pricing and to make an appointment. Many township and city offices provide licensing, as well as the Kent County Animal Shelter, Humane Society of West Michigan, C-Snip, or online. For more information on licensing locations, pricing, or to buy your dog’s license online, go to www.accessKent.com/KCAS.